Genomic architecture – Genomic architecture is based on the manipulation of the architectural genome. Like its biological counterpart, this genome is universal and encompasses all architecture — past, present and future. At its root, this genome is defined by a unified morphological genome, a universal code for all morphologies — natural, human-made and artificial. 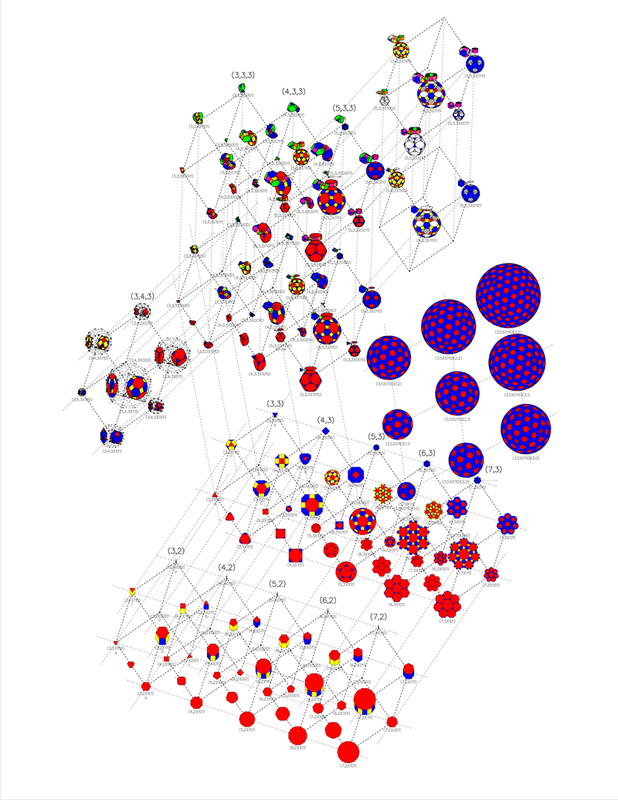 Morphogenomics, a possible new science, deals with morphological informatics. 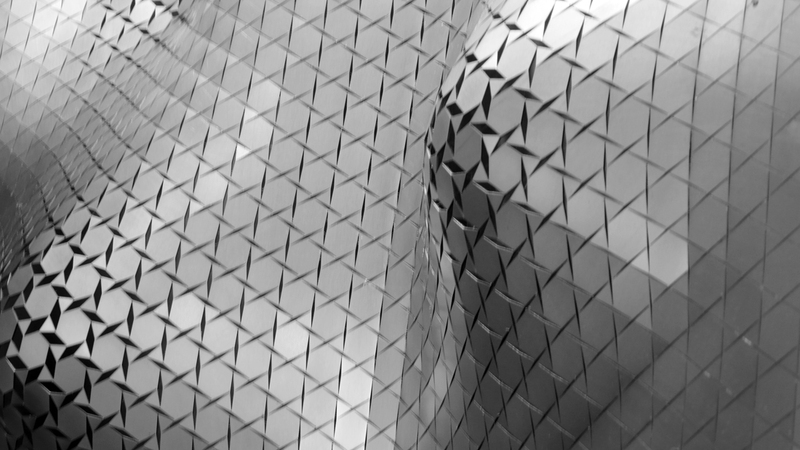 It includes mapping the morphological genome as a basis for generative morphologies that underlie the shaping of architectural space and structure. Once mapped, the morphological genome will need to be layered with other genomes (also requiring mapping) to cover different aspects of architecture: physical (e.g. materials, construction technologies), sensorial, cognitive and behavioral. Genomic architecture, based on the layered genome, encompasses an integrated world of “artificial architecture” (used in the same sense as “artificial intelligence” and “artificial life”), a world of complexity evolving in parallel with the natural world. It is a morphologically structured network of information that determines architectural taxonomies and phylogenies, permits digital manipulation of form in the design process, and enables mass-customization in digital manufacturing. Limits of Organic Architecture – The meaning of the term “organic architecture”, which draws its inspiration mostly from biology, keeps evolving with increasing knowledge of nature combined with foreseeable technologies. 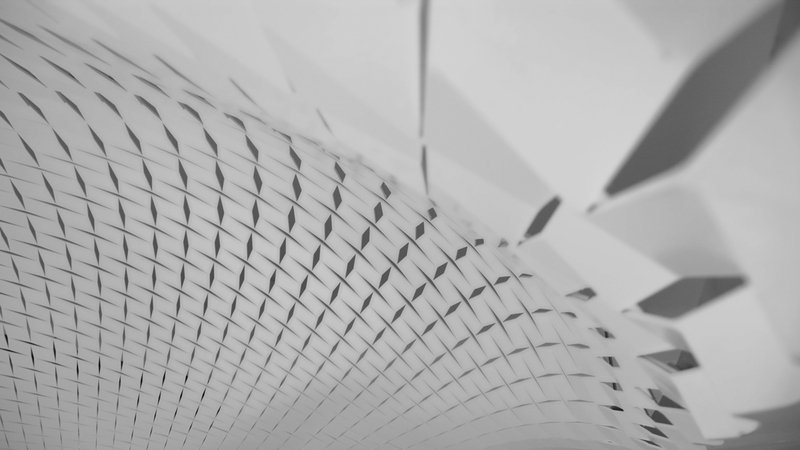 As new technologies emerge, architecture becomes more organic in its scope, intent and realization. The upper limit to this sort of bio-mimicry would be biology itself. Buildings would grow , respond, adapt and recycle, they would self-assemble and self-organize, they would remember and be self-aware, they would evolve, and they would reproduce and die. Organic architecture, were it to attain biology, would design itself. It would also perpetuate itself. 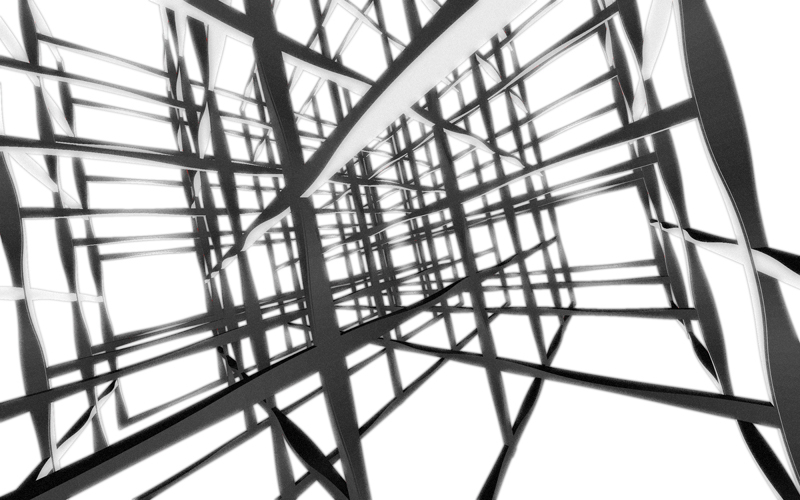 Architecture would then become “life”, and paradoxically, buildings would no longer need architects. Organic architecture, in this limit case scenario, would also define the end of architecture (as we define it now). 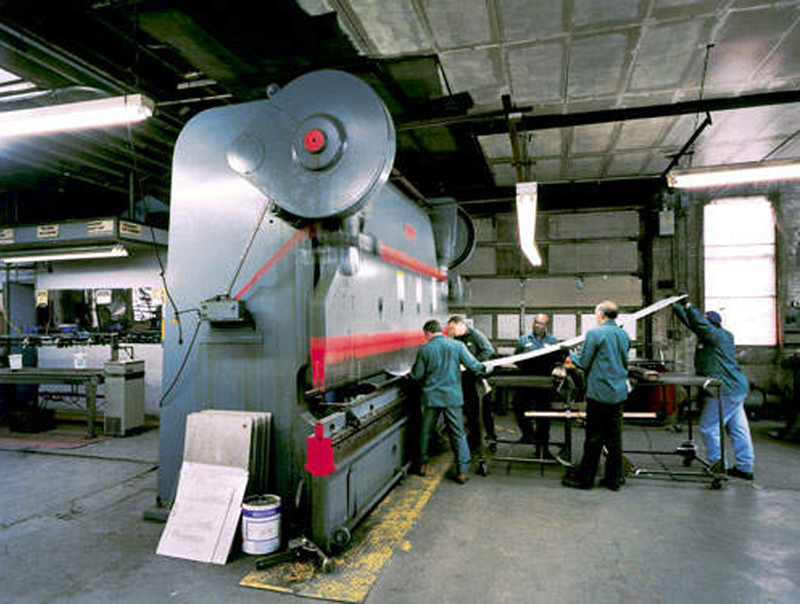 Following is the article from Metropolis magazine (Bend the Rules of Structure, By Peter Hall), June 2003, describing Lalvani’s collaboration with Milgo, A Brooklyn metalworking shop with an unlikely name may hold the key to 21st-century shapemaking. As company names go, Milgo/Bufkin sounds almost Dickensian. Pushing open the hefty rust-coated steel door of the company headquarters, I half expect to be greeted by a scrawny Mr. Milgo and a plump Mr. Bufkin, with polished bald heads and prominent nose hairs. The truth is almost as good. The Milgo/Bufkin factory, founded in 1916 in a toxic corner of industrial Brooklyn, is where the drawings and doodles of designers and sculptors are turned into palpable reality. It is the art-and-architecture world’s little secret. The chief of this family-owned business is not a Milgo or a Bufkin, but Bruce Gitlin, who offers a hearty handshake and speaks in an accelerated voluminous manner as if someone might be about to interrupt him. “The name never meant anything to me,” he says, adding that Milgo/Bufkin is a fabrication (appropriately enough), a conflation of an off-the-shelf company name Milgo Industrial and Bufkin Enterprises, named after all the first initials of his children, nephews, and nieces. 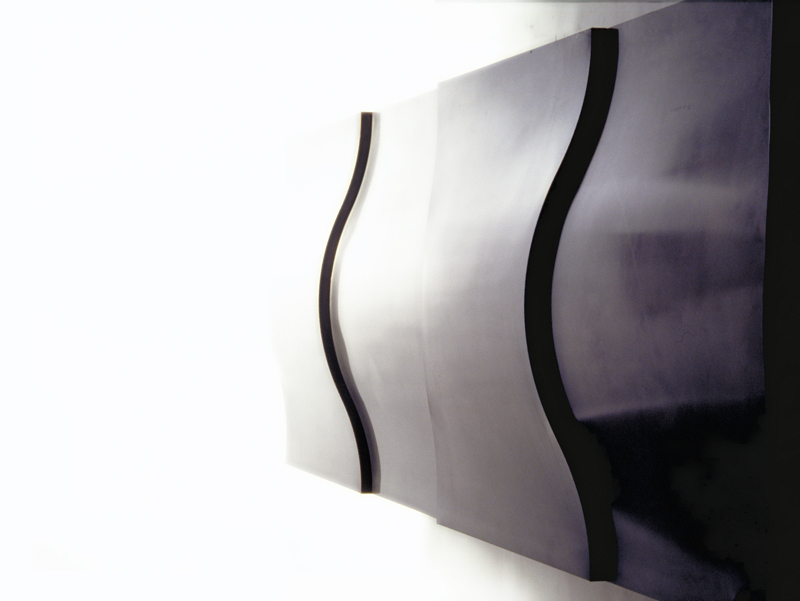 In the last 40 years the firm has built work for the whole canon of art sculptors: Donald Judd, Claes Oldenberg, Jeff Koons, Richard Serra, Robert Indiana, and Matthew Barney. It has fabricated the metalwork in some of New York’s best-known lobbies, entrance doors, and facades–including Tiffany’s, Bloomingdales, Lever House, Trump Tower, the Ford Foundation–and that large number “9” outside 9 West 57th Street. And this is only the beginning of the tour. Bufkin he has applied automatic shape making to metal manufacturing. 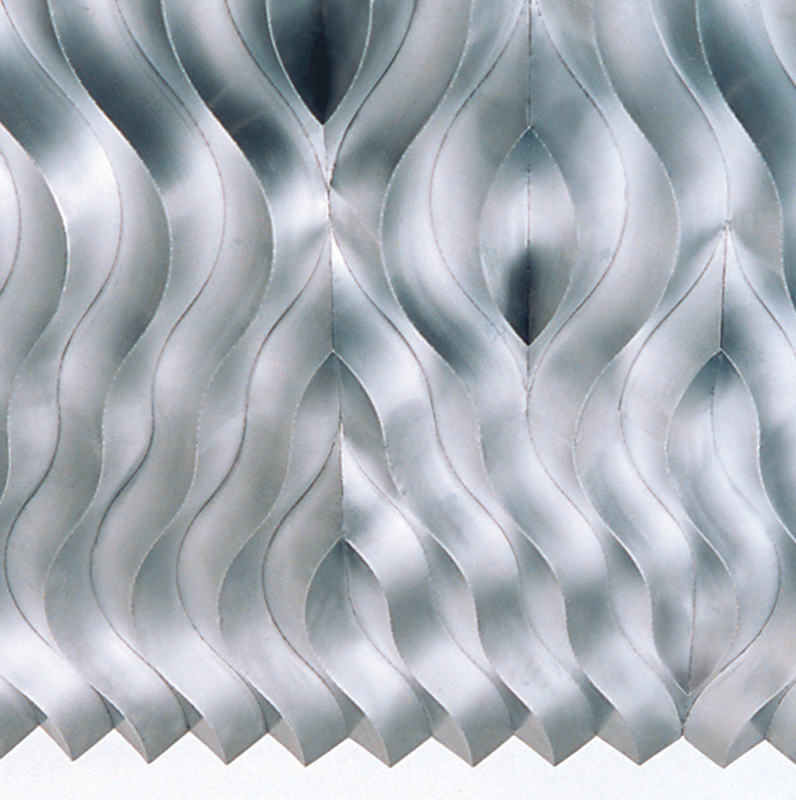 Setting out to modulate a stiff metal surface into several rigid curved surfaces without weakening the material, Lalvani developed a series of algorithmically generated geometries. These were then translated (by a former student, Neil Katz) into computer models and fed into computer-controlled machinery that marks and laser cuts sheet metal and readies it for folding (which is currently done manually). Whether or not Lalvani’s AlgoRhythms are the first pillars of a self-constructing citadel, they have immediate potential to structural engineers like Vincent DeSimone, whose firm has worked on a number of Gehry buildings. “If you take a piece of steel and bend it, it gets an inherent strength out of the geometry of the bend,” DeSimone says. 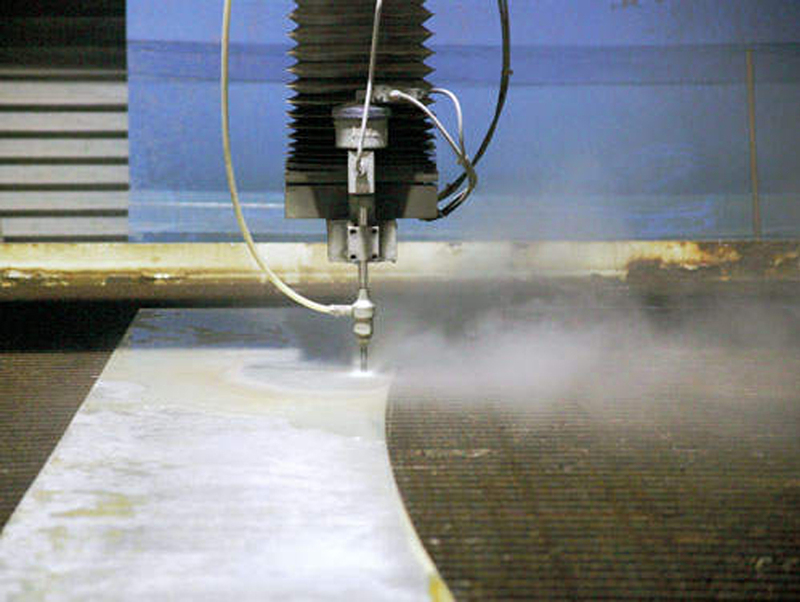 “A lot of times when you want to make a warped surface in metal you literally have to stretch it. Lalvani’s algorithms have given you a method where, by folding along perforations, the metal is never stretched.” The distinction between AlgoRhythms and the sculptural steel surfaces of Gehry’s building, DeSimone says, is that “Gehry’s is a free-form surface; Haresh’s is a 3-D solids model.” At Gehry’s new Fisher Center for the Performing Arts, at Bard College, for example, the undulating stainless-steel roof functions as a rain and snow shield, but the load is carried by a series of ribs underneath–the “real roof,” as DeSimone puts it. 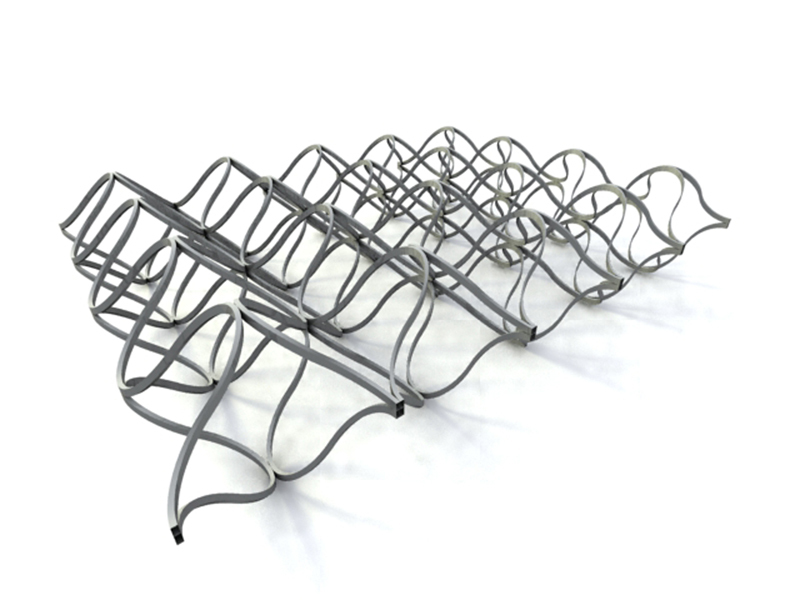 With Lalvani’s technique, in theory an entire building could be made of load-bearing folded metal. We arrive at an intersection outside the art shop, an area Rem Koolhaas might call “junkspace.” Across the street is Gotcha Auto Salvage and Acme Steel Doors. The art shop is a nondescript brick warehouse building with a giant billboard on its roof, positioned for the benefit of drivers on the Brooklyn Queens Expressway, which roars overhead. The word Milgo is daubed crudely in paint above the door. Stepping through the door, however, is like entering a fantastical grotto of shining steel, bronze, and oxyacetylene. A technician is filing a small bronze sculpture. Sparks fly from the dark corners of the shop. Shoved against a grille-covered window is a steel tree with perfect shining petals. A packing crate lying casually on the floor bears the stenciled letters “JUDD–RED COPPER PROGRESSION 1985.” As we move toward the back of the shop Gitlin points out a 15-foot-high John Romandi piece named Pyre, and introduces me to the head of the art shop, a looming figure with an iron handshake. Alex Kveton showed up at Milgo/Bufkin’s door one day in 1983, according to Gitlin, and said, “I’m here to work for Milgo.” A renowned sculptor in Czechoslovakia, Kveton and his wife had fled the country and come to Greenpoint with only one goal: a job at Milgo/Bufkin. Gitlin asked how he knew about the firm. “Everybody knows about Milgo,” Kveton said. “I read the art magazines.” Kveton continues to work as a sculptor (a metal headless horseman currently sits in the shop waiting to be shipped to its client, the town of Sleepy Hollow) but is also responsible for turning Lalvani’s research ideas into metal. I ask him what was the biggest challenge of the AlgoRhythms project. “Figuring out how to make it,” he says bluntly. 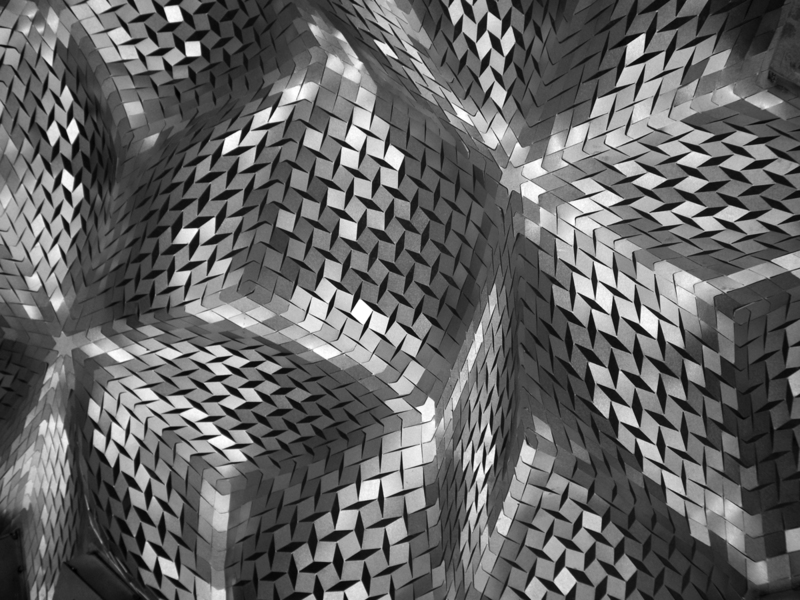 Lalvani and Gitlin are already at work on another project they refer to as “universal skin.” Though reluctant to divulge details, they hint at a technique whereby any sheet material can be morphed and expanded into any shape following Lalvani’s algorithms. 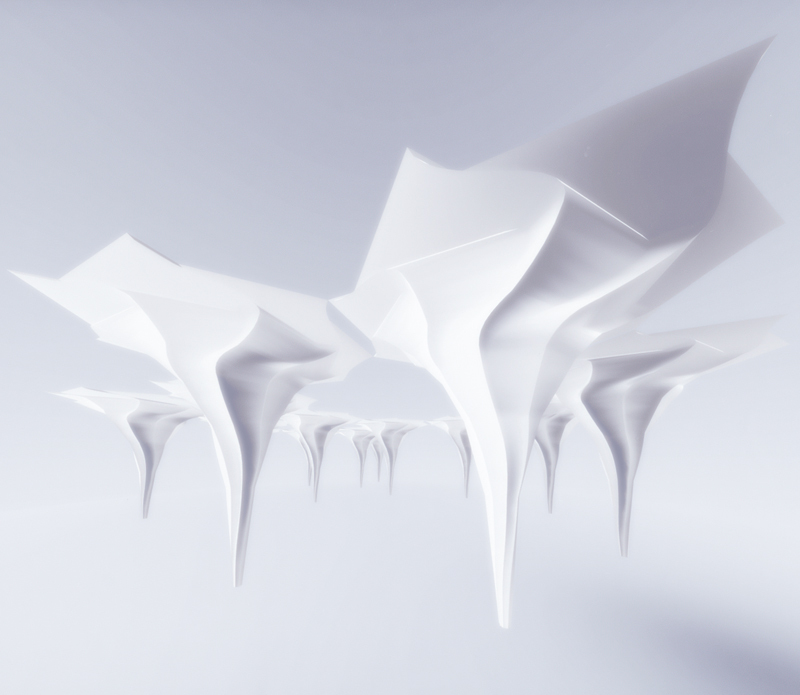 At the more speculative end of his design work, Lalvani has rendered entire virtual environments of morphologically encoded structures. A Column Museum proposes a space filled with a sampling of all possible architectural columns past, present, and future, arranged as physical display or in virtual space with numerous entrance and exit points. 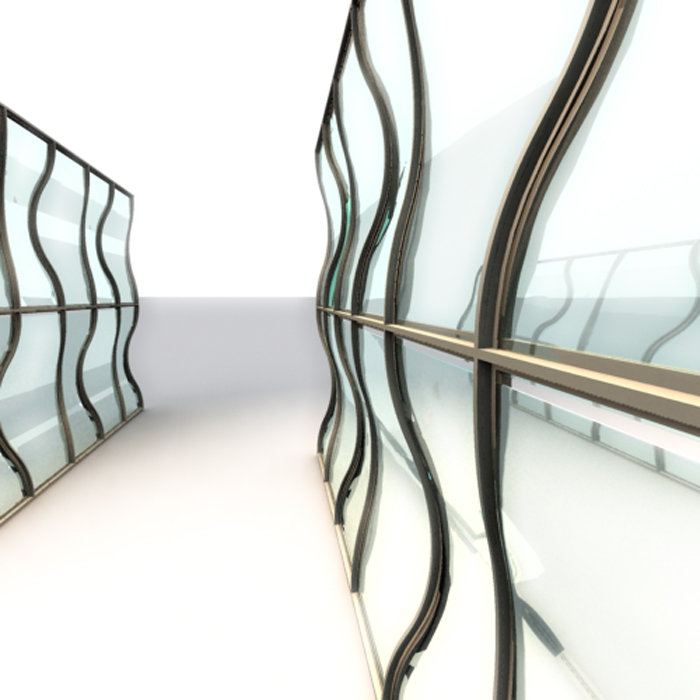 The dazzling Waveknot proposes opaque corrugated glass-and-metal modules forming an undulating surface defined by a simple knot, such that the surface becomes both inside and out. In five years, Lalvani says, enough of the morphological genome will be mapped and the project will have a strong enough scientific foundation to make it publicly available to other researchers to help advance. “First I want to make sure it has a foundation,” he says. “When it’s grounded in mathematics, you’re not just giving an opinion.” The project certainly won’t fail for lack of conviction. When Gitlin was first introduced to Lalvani by his friend and colleague John Lobell in 1996, Gitlin listened to Lalvani for “about five minutes,” he says, and knew he was ready to collaborate. Gitlin’s next hurdle, however, is to finance the manufacture of machinery that can mass-produce–or mass-customize, rather–the AlgoRhythms. So far most of the project has been funded out of Milgo/Bufkin’s coffers. One scheme received additional support from Pratt and a two-year grant from NYSTAR (New York State Office of Science, Technology and Academic Research). Gitlin is discussing partnerships with two research-heavy universities. The result, he imagines, would be a giant “organic machine” capable of producing sections, seats, cars, even tunnels. Lobell adds that mass customization will present designers with the ultimate ideal: “The designer logs in, sees an image on-screen, starts pulling and distorting it with the mouse to get exactly what he wants, clicks, and the design goes straight to a laser cutter. It’s FedExed to him the next day.” As for the fashionable nature of the project’s implied themes, Lobell–an architect–has no qualms. “The current demand of the profession is for curves,” he says ironically. 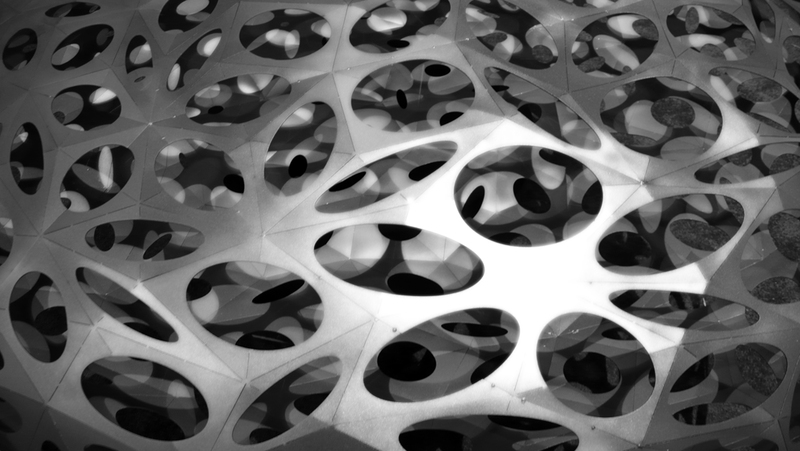 Alicia Imperiale, an architectural theorist and author of New Flatness: Surface Tension in Digital Architecture, believes there is a link between Lalvani’s work at Milgo and the architecture of Herzog and de Meuron, Greg Lynn, and Foreign Office Architecture (notably their Yokohama Terminal project). Lalvani, she notes, has arrived on similar terrain from a different starting place. “He has found a logic between morphological change–the way something looks–and how it performs,” Imperiale says. “Because of his understanding of the fluid dynamics of surface, he’s able to manipulate that and use the forces to let it support and sustain itself. I find that compelling and efficient. I would love to see how an environment would be made with these forms.” The distinction between Lalvani and his more celebrated peers in the realm of commercial architecture is that he did not set out to translate postmodern ideas into headline-grabbing buildings. His goal was simply to continue his graduate studies. 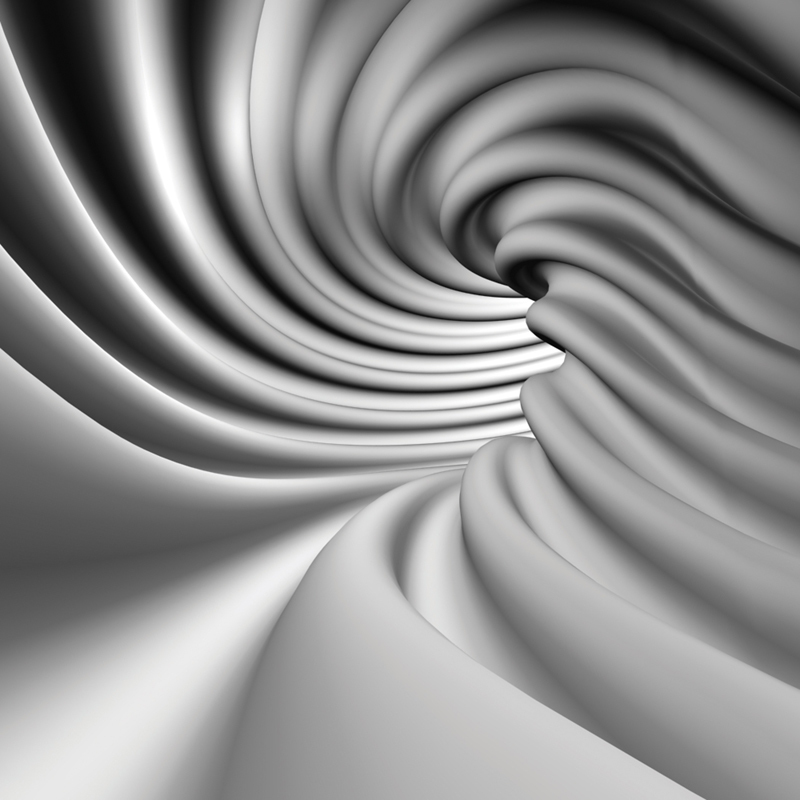 The incentive to put theory into practice came from more practical considerations. According to Gitlin, Lalvani wanted to send his son to private school and couldn’t afford to. Gitlin says this with the affable swagger of a Brooklyn businessman. The more measured but beguiling delivery of Lalvani, the academic immigrant from India, makes a striking contrast. They’re an odd pair. But it’s encouraging to think that pure research has met a real-world partner in the form of a family-owned metalworking shop in Brooklyn. Toward the end of my visit Lalvani takes me out to get coffee from a stainless-steel canteen truck parked under the expressway to serve local factory workers. He tells me, with a gleam of delight in his eye, that he thinks of Milgo/Bufkin as “romantic.” For a theorist immersed in one field for decades to suddenly see his ideas made manifest must be a rewarding experience. 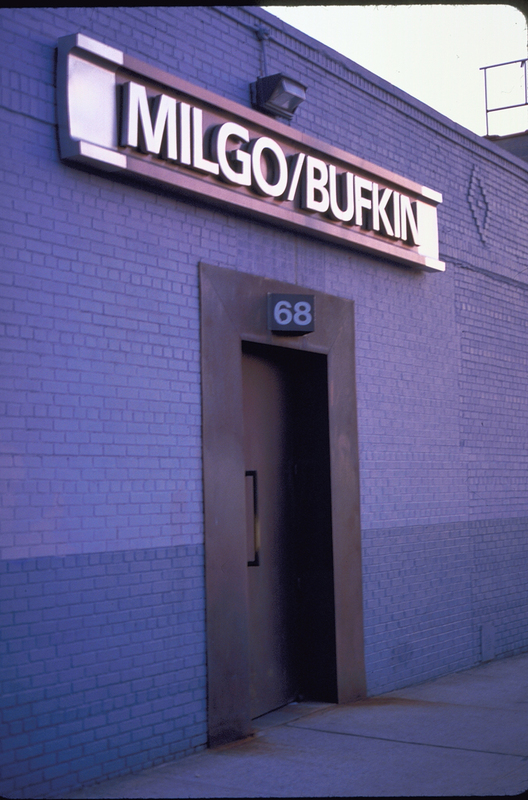 As for Milgo/Bufkin, it’s a collaboration that could take the venerable Greenpoint firm well into the twenty-first century. Xurf Ceiling Light Fixture (2009), Na Ok Woo Conference Room, School of Architecture, Pratt Institute (with architect Richard Scherr). Photo: Ajmal Aqtash. Tri-Hex Xurf (2007), Siggraph2008 exhibit, Los Angeles. Photo: Ajmal Aqtash. 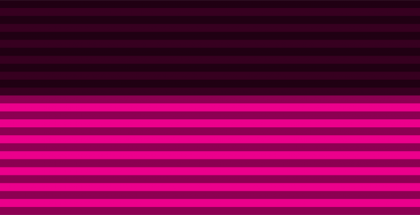 Zig-Zag Xurf (2008), detail; presently on display at the Philoctetes Center, New York. 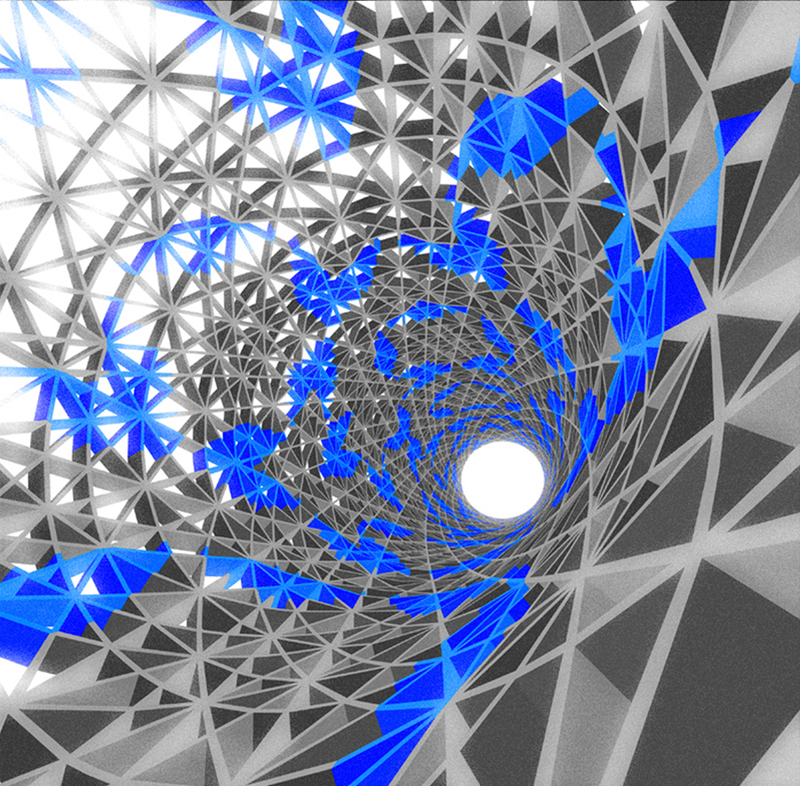 HyperSpheroid (2008), detail; Siggraph2008 exhibit, Los Angeles. Photo: Ajmal Aqtash. 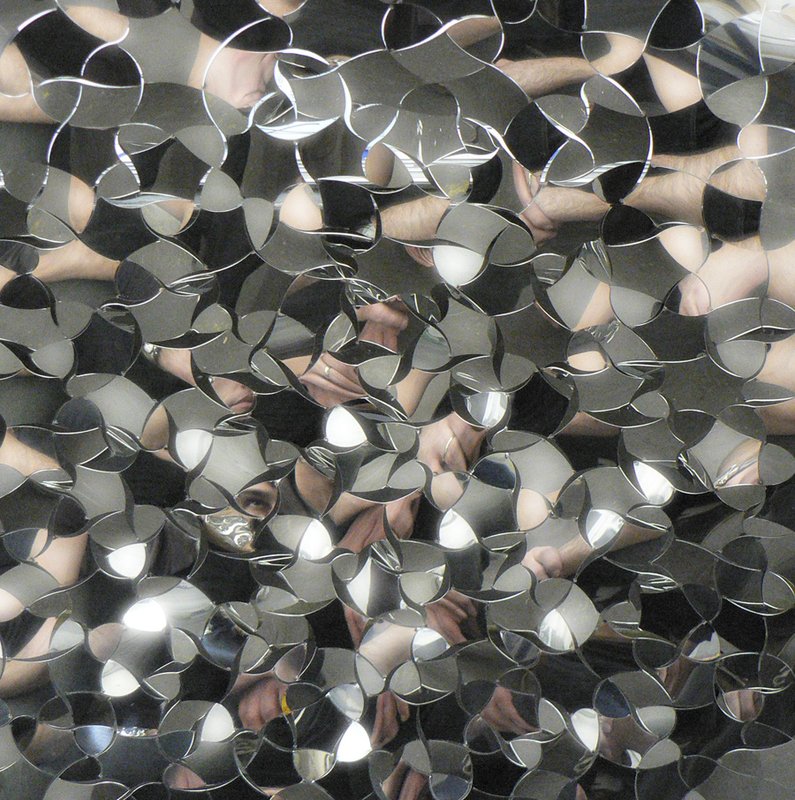 Xurf Mirror (2008). Photo: Bruce Gitlin. 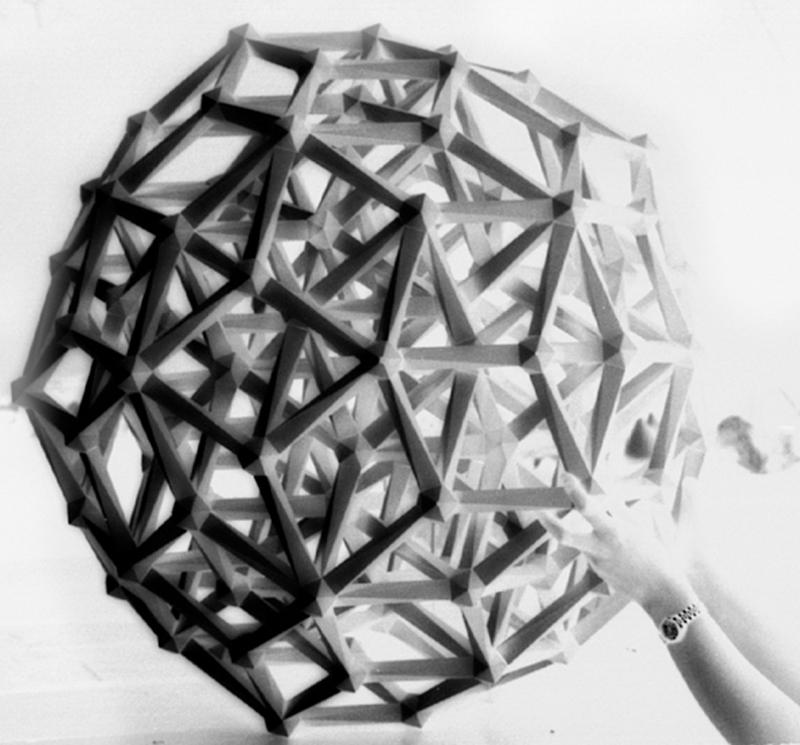 History – Bruce Gitlin, owner and CEO of MILGO BUFKIN, long desired to create origami in metal. If a delicate bird could be created from a sheet of paper, he wondered if a sheet of metal could be similarly folded to yield elegant new forms. Gitlin’s grandfather started MILGO/BUFKIN in 1916 as a truck body shop, and his father expanded the company to bend metal for architectural applications. Gitlin discontinued the truck work, added the fabrication of sculpture, purchased state-of-the-art equipment, and developed new technologies, growing the company exponentially. 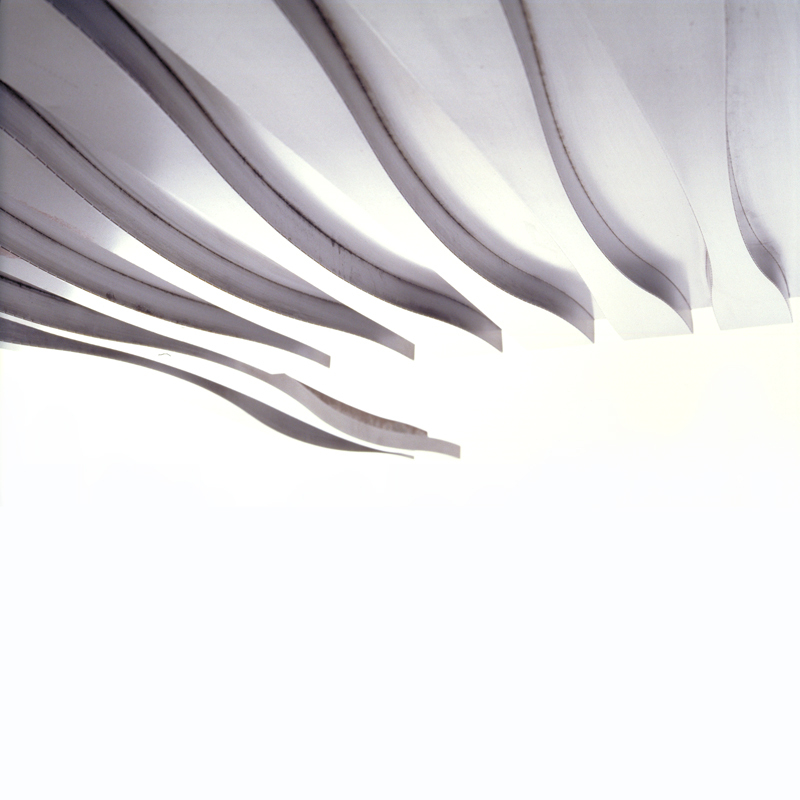 For the past forty years, MILGO/BUFKIN has continually introduced new materials, finishes, and technologies to support the innovations of leading architects, designers and artists. 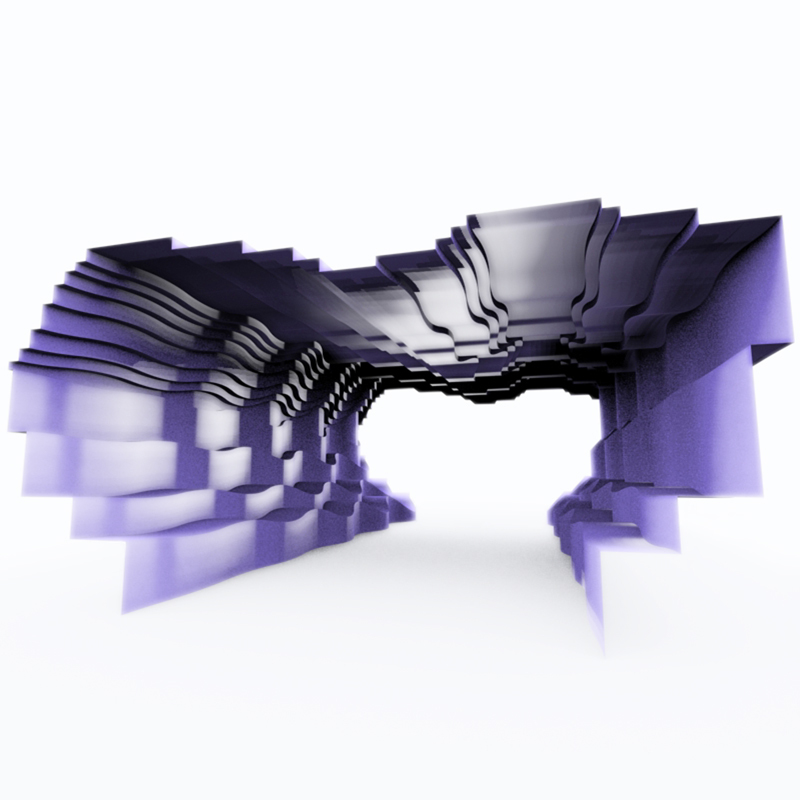 When Gitlin was searching for new approaches that would transform architecture in the new millennium, he met Dr. Haresh Lalvani, a prominent architect-morphologist, known for his use of higher dimensional mathematics to create structures based on new geometries. Dr. Lalvani has been a professor for the past thirty years at Pratt Institute, the New York based, internationally acclaimed school of art, architecture and design. 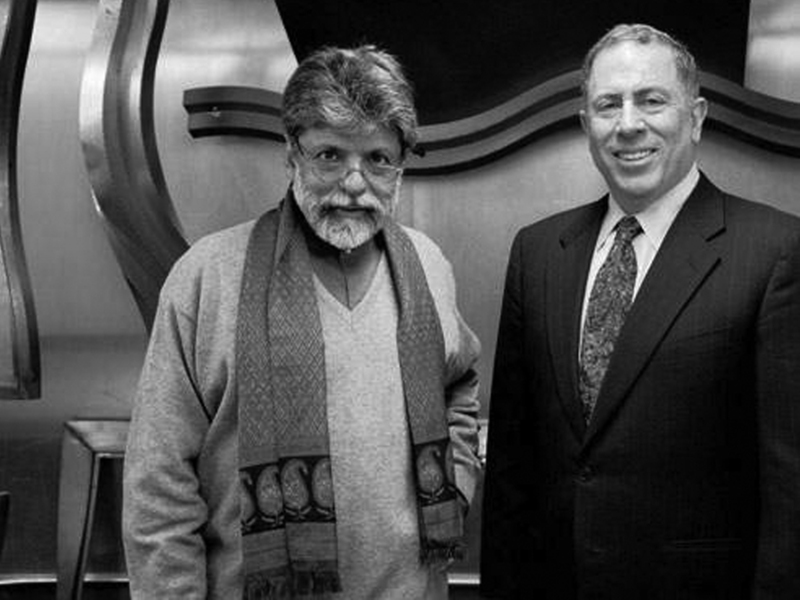 Their serendipitous meeting began a collaboration that enabled Dr. Lalvani to combine decades of research and many patented inventions with MILGO/BUFKIN’s cutting-edge fabrication technologies. 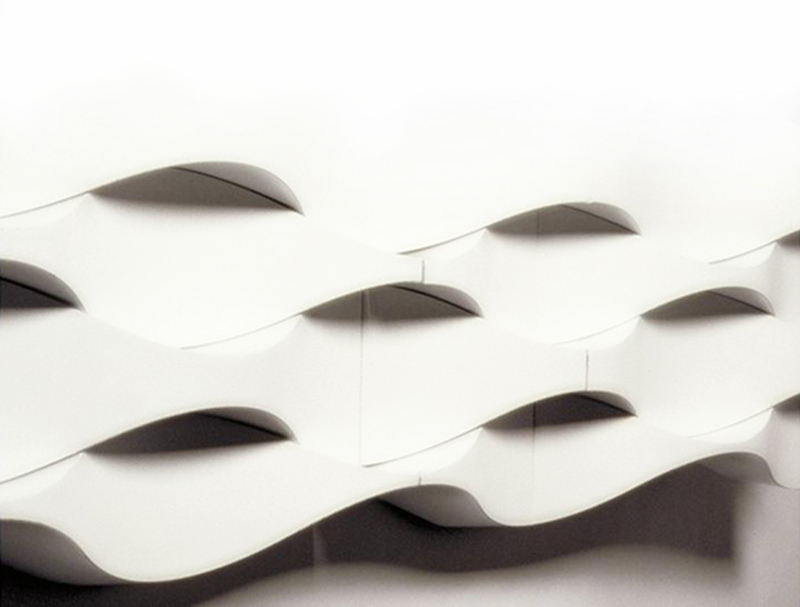 Their collaboration over four years of research and the filing of several patents led to AlgoRhythm Technologies, a division of MILGO/BUFKIN dedicated to the design, production, and marketing of a unique line of architectural products with curvilinear surfaces. 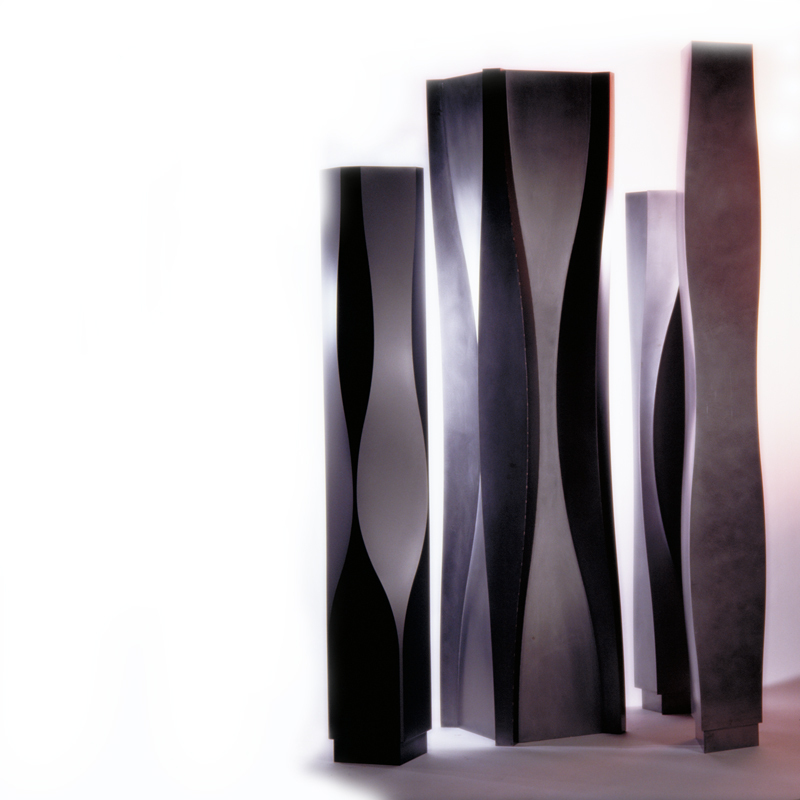 The transformation of AlgoRhythm Technologies’ designs into products was facilitated by the metal working expertise of Alex Kveton, a sculptor with a fine arts and industrial design background. Also key to the effort was the computer modeling of Neil Katz, a former student of Lalvani’s and now an associate at Skidmore, Owings & Merrill. Katz used advanced software to translate Dr. Lalvani’s algorithmic concepts into computer models used to manufacture the products and to generate some of the images used in this brochure. The images were then computer-rendered by Mohamad Al-Khayer and Ajmal Aqtash, former and current students respectively. 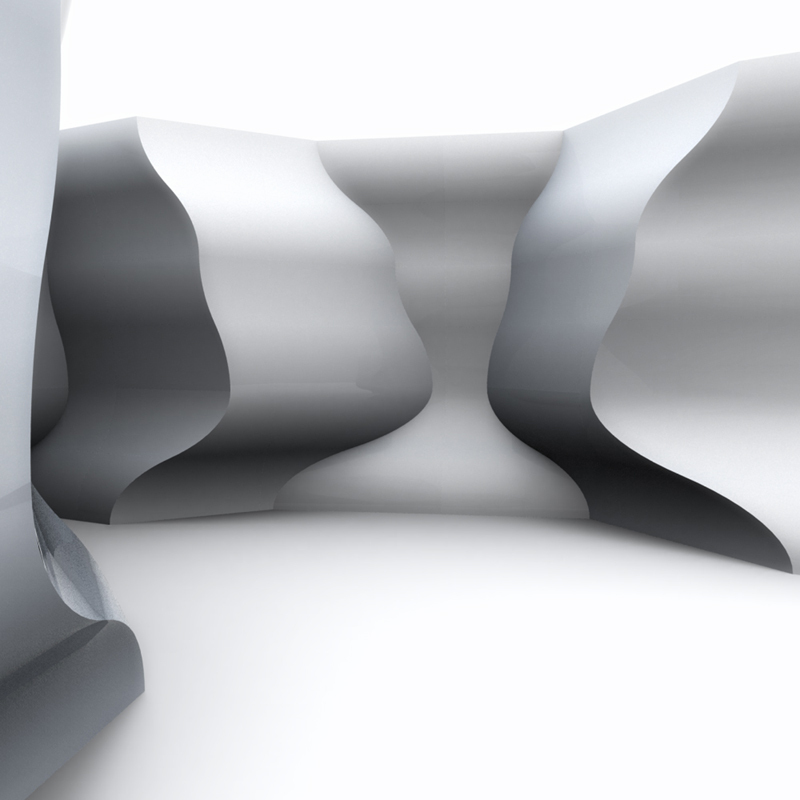 Dr. Lalvani’s new architectural forms can transform the design field, for they facilitate the creation of endless variations of integrated design environments with innovative, curvilinear surfaces. For AlgoRhythm Technologies’ potential economic impact and industry-leading ideas, New York State recognized the project in 2008 with a coveted NYSTAR (New York State Office of Science, Technology and Academic Research) grant in affiliation with Pratt Institute. Bruce Gitlin and Dr. Haresh Lalvani have created a new architectural language grounded in nature and higher mathematics. 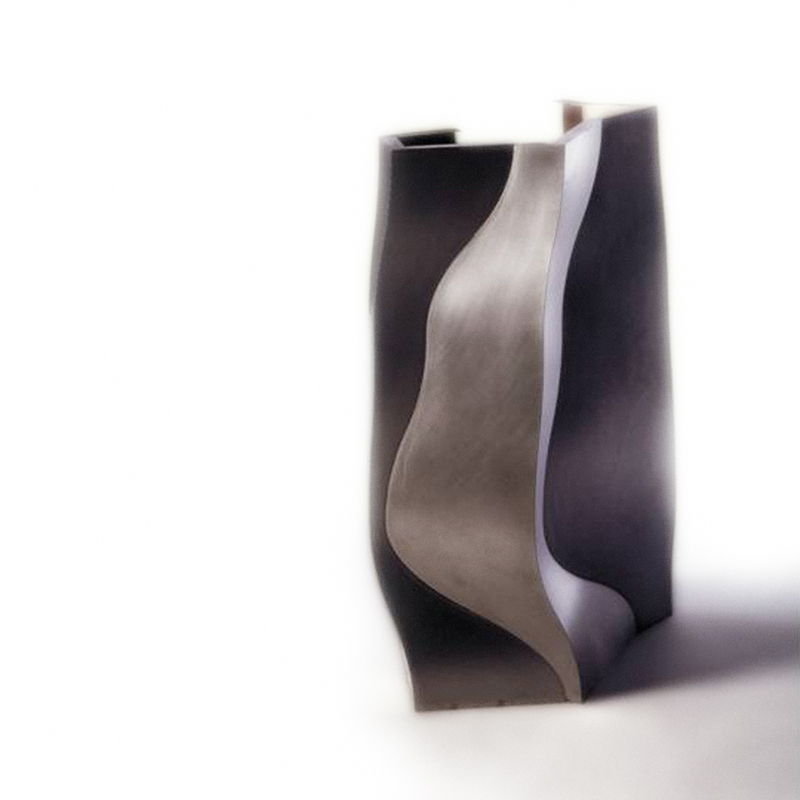 They have gone far beyond their initial search for origami in metal.